If you haven’t heard of The Johns Hopkins Hospital, then chances are you don’t work in healthcare. U.S. News & World Report has named the renowned medical institution one of the country’s best hospitals 20 years running. The prestige intrigued Nancy Coney, RN, BSN, an emergency room nurse with experience in surgical recovery care. “People from all over the world seek treatment there,” she says. It was a prime opportunity to add the revered teaching hospital to her résumé. Practicing in such a preeminent facility was not something to pass up. So last spring she agreed to a contract in the emergency department at The Johns Hopkins Bayview Medical Center, a 560-bed hospital within the larger Johns Hopkins Health System in Baltimore, Md. Both assignments were secured by Clinical One, a staffing firm located in Wakefield, Mass. After 13 weeks, she moved onto the surgery recovery unit at the system’s main facility. Thanks to Baltimore’s convenient locale, Coney and her boyfriend — who flies in on his days off — have taken in the sights of surrounding cities. Some, of which, she has been eager to see. Before the assignment wraps up in April, she has considered exploring areas of Pennsylvania and taking a day trip to New York City. But her most memorable experience to date was meeting her first grandchild, born last fall. As for future bucket list must-dos, Coney remains open to possibilities. She may go to another coastal community, or visit family in Texas. One thing is certain, there will be plenty more trips to see her grandbaby. Check out more travelers’ bucket list stories online or in the March issue of Healthcare Traveler. Every year, people of all ages join forces across the country to walk in the Susan G. Komen 3-Day for the Cure fundraiser. For the past six years, Leah Palyu’s stepmother participated in the Seattle event, walking 60 miles in three days in support of breast cancer research. Palyu had always wanted to walk, too, but she was usually away on an assignment. The September 2011 event was different. The medical/surgical and telemetry nurse found herself back in the Pacific Northwest, just in time lend her efforts. When she first set out on a mobile career, Palyu didn’t have a steadfast list of ultimate destinations or extreme adventures to mark off her bucket list. Palyu simply wanted to experience various communities. “I wanted to see different subcultures in the Southwest, Northeast, and South because each has its own reputation. I thought there would be no better way to do that than by living there,” she explains. Over time, however, she accumulated more dreams and wishes. For example, Boston held a fascination for her. Indeed, it looked like that’s exactly what would happen. Except, Palyu had met someone special while on assignment in Texas. He was attending nursing school at the time, and couldn’t join her on the road, so Palyu faced the decision of whether to head north or pursue a relationship. “I decided to live in Texas until Chris graduated from nursing school. I didn’t stop traveling because he wanted me to, but because living apart was not an option for me — I did tell him that he still owes me Boston, though,” she says. So Palyu temporarily retired from the mobile lifestyle. About a year ago, she resumed life on the road — now married to Chris, who practices as an emergency room nurse. First, on her to-do list, was to enter the fundraiser. Next was to celebrate the holidays with her relatives. “For the past six or seven years, I have not made it home for the holidays. Once we were up here, I made sure I could take time off from my travel contract so I could be with my family for Thanksgiving and Christmas,” she comments. Although happy to have reconnected with relatives and old friends, Palyu and her husband are anxious to chase their new bucket list dreams. For example, Chris has an interest in racing. “He owns a few road race cars, so I’m sure we will make some stops in California, like to Laguna Seca Motorway near Monterrey,” she offers. “I would like to go back to Charleston, S.C., because we did a lot of our courting while I was on contract there, but I’d also like to see some of the national monuments,” she concludes. I really admire my parents. Even in their 70s they are more active than many twenty-somethings I know. They walk three miles together nearly every day, which means jumping on the treadmill during harsh Wisconsin winters. My mother regularly attends exercise classes, and my dad is Mr. Outdoorsman regardless of the season. I’m very thankful they are blessed with good health, but I often think about the day when they will require help attending to their healthcare. For me, the hardest part of that scenario is living 2,000 miles away and being unable to be as hands-on as much as they may need. As mobile professionals, you too can understand the frustrations of being away from loved ones in need. According to the American Society on Aging, approximately 100 million people deal with chronic conditions and nearly 25 percent of all households care for a family member age 50 or older. Now think about how those numbers will escalate as baby boomers age and require more services. More and more of us will become caregivers for loved ones. But you don’t have to permanently unpack in order to become involved. Of course, ideally, family members and trusted friends living close by could pitch in, but there are experts who can advocate in your place if that’s not a viable option. A Geriatric Care Manager (GCM) is typically a nurse or social worker trained to address the multifaceted nature of elder care. They assess individuals’ physical and psychological well-being, address family dynamics, and connect people to local resources. In fact, GCMs are very well connected with senior centers, assisted living facilities, home care organizations, and other local experts including financial and legal advisors. GCMs also stay current with clients’ lives, so they notice when subtle changes might indicate something larger at play, or when extra services or attention is required. They can be your eyes and ears on the scene. So how do you find a Geriatric Care Manager? The National Association of Professional Geriatric Care Managers has compiled a membership database. Just type your zip code, city, or state into its Find a Care Manager Search engine. The results supply you with names, contact information, and areas of expertise for local geriatric care managers. 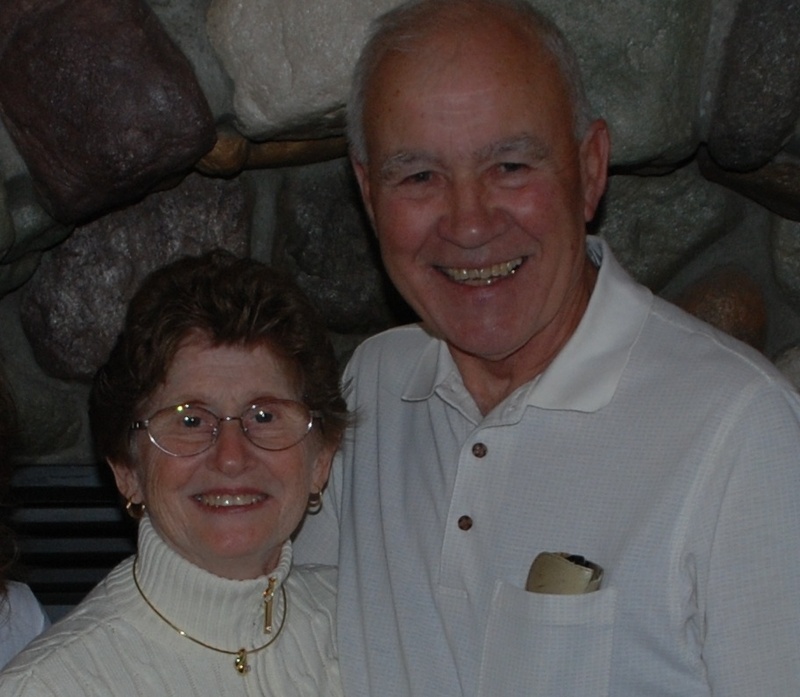 For now, I value my parents’ vitality because it allows them to enjoy their hobbies and interests. At the same time, it’s reassuring to know that a trained advocate is available for us when needed. Special thanks to Andrea Gallagher at Senior Concerns. What was your favorite part about celebrating Halloween as a kid? Did you spend weeks planning your costume, like my then-10-year-old son who sculpted one out of cardboard and duct tape? Did you hit the streets as soon as school let out, not to return home until every doorbell in the neighborhood was rung? My favorite memories were separating my candy cache into categories: bubblegum, candy bars, and lollipops. Then the tallying began. I carried the tradition over to my own family, sitting on the floor with my children helping them sort their trick-or-treat booty (lucky for me they don’t like Snickers). But who says Halloween is just for the kiddies? The autumn holiday has grown up over the years, and there are plenty of adult-oriented parties happening all over the country. Check out these infamous haunts. The streets around Los Angeles are always jam-packed, but on October 31st, Santa Monica Boulevard is filled with costumed revelers. 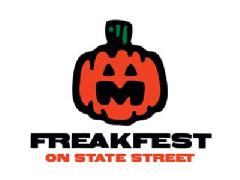 Organizers estimate 500,000 show up to the country’s largest Halloween street party. Not to be outdone by their West Coast rivals, New Yorkers flock to Greenwich Village to partake in the ghouly festivities, including live music from 53 bands. Madison may be the state capital, but it remains a college town at heart. For decades, students descended onto State Street for an “unofficial” Halloween party. The spirited nature lives on with plenty of libations and entertainment. Can there be a more witchy town than Salem, Mass.? This time of year, the city embraces its notorious history. AOL’s CityGuide rated the annual Salem Witches’ Halloween Ball one of America’s top parties. If you were a ghost, where would you want to wander eternity? Why not the Big Easy? 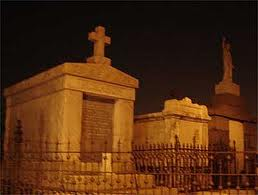 New Orleans long has been rumored to host many spirits of the dearly departed. Take your chances of ghostly encounters on one of the French Quarter tours—Hauntings, Vampire, Cemetery, or Voodoo. Then share your tale over a potion at one of the many Halloween parties, often a dress rehearsal to Mardi Gras. The celebration dates back 2,000 years to the Celtic festival of Samhain. Southern colonies honored the harvest with “play parties.” The immigration wave of the 1800s brought Celtic traditions, like costumes, to the United States. 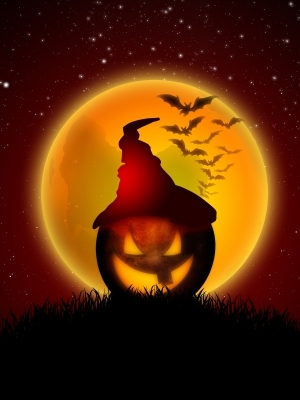 Today, Americans spend approximately $6 billion annually on Halloween. Zoos across the country extend their hours in October for the annual Boo at the Zoo. Typically, the nighttime event is designed for families and appeals to kids of all ages. Check each zoo’s website for times and pricing information. Palm Beach Zoo provides a safe place for kids to trick-or-treat. Young children enjoy face painting, sand art, storytelling, bounce house, games, crafts, and roving animal encounters. Don’t miss the Paws for a Cause Animal Art Expo, where you can buy one-of-a-kind-pieces created by the animals. Boo at the Zoo is October 21, 22, 23, 28, 29, and 30. 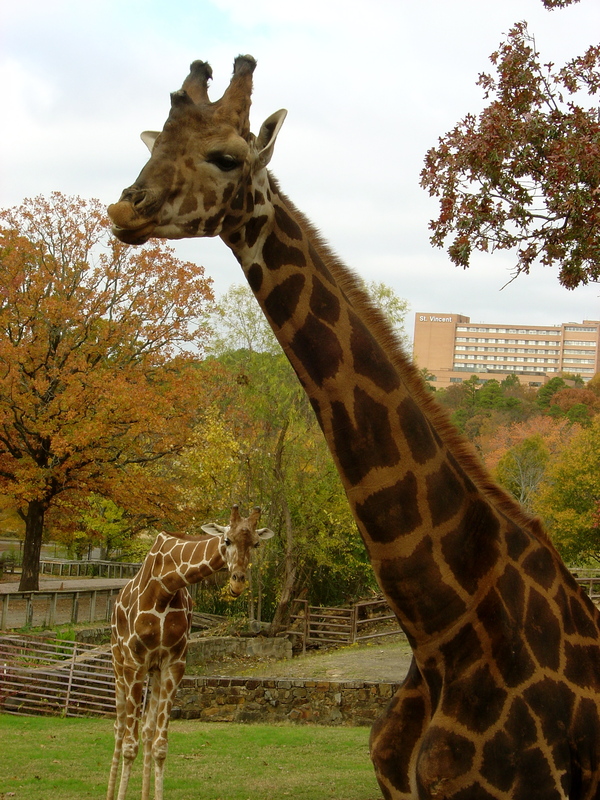 Boo at the Zoo is a fundraiser for the zoo and the Children’s Hospital in New Orleans, held October 21, 22, 28 and 29. The Audubon Zoo‘s fun-filled night includes: trick-or-teat houses with candy, a Ghost Train, haunted houses (scary and non-scary), games with prizes, and entertainment. The event is designed for children ages 12 and under. A limited number of tickets are sold to keep the atmosphere relaxed. The Philadelphia Zoo offers two spooky weekends of fun on October 22, 23, 29, and 30. Everyone is encouraged to wear a costume, join the parade, and march around Bird Lake. Take a stroll through the zoo’s not-so-scary Extinction Graveyard where you’ll be shocked to learn which animals could be extinct within 15 years. Nebraska’s Lincoln Children’s Zoo hosts Boo at the Zoo every night from October 26 through the 30. This “merry not scary” event provides 40 trick-or-treat stations. The goodies are generously provided by local businesses. The Milwaukee County Zoo on October 21 and 22 features carved illuminated pumpkins throughout the zoo, a musical light show, and a haystack maze.